Atherosclerosis, characterized by plaque buildup in arteries, can lead to the rupture of atherosclerotic plaques, which can produce severe life-threatening consequences such as heart attack or stroke, followed by paralysis or even death. Yet atherosclerosis is often undiagnosed until a vascular event occurs, at which time the disease has likely progressed. However, new research is seeking to detect cardiovascular disease earlier—when it’s easier to treat—using light and sound waves to detect fatty deposits in tissues. Photoacoustic imaging, an ultrasound-guided biomedical imaging modality, is based on the photoacoustic effect. “In photoacoustic imaging, nonionizing laser pulses irradiate biological tissues. The delivered energy is absorbed by various tissue components and converted into heat, leading to transient thermoelastic expansion, which creates a wideband [eg, megahertz] acoustic emission,” explains Iulia M. Graf, PhD, an assistant research scientist in the department of biomedical engineering at the University of Texas at Austin, who is working on research that seeks to develop photoacoustic imaging systems to improve the diagnosis and treatment of cardiovascular disease. In photoacoustic imaging, these generated acoustic waves are then detected by ultrasonic transducers to form either 2-D or 3-D images that can illustrate the fatty deposits in atherosclerotic plaques. “The optical absorption of each tissue component is closely associated with physiological properties such as lipid concentration or oxygen saturation. As a result, the magnitude of the ultrasonic emission [ie, the photoacoustic signal], which is proportional to the local energy deposition, reveals physiologically specific optical absorption contrast,” Graf explains, thus creating a 2-D or 3-D map of the tissue composition in a particular patient. Through research published in June 2011 in Physical Review Letters, Ji-Xin Cheng, PhD, an associate professor of analytical and physical chemistry at Purdue University developed a similar technique called vibrational photoacoustic microscopy (VPM) that “uses a pulsed near-infrared laser to excite the chemical bond vibration. The vibrational energy is transferred to heat and thereafter induces a local thermal expansion in the tissue,” he says. This thermal expansion thus produces an ultrasound wave for detection. In time, and with additional research studies, Graf says photoacoustic imaging could be used to help doctors detect atherosclerosis at earlier stages than currently possible. As Graf explains, “Human atherosclerosis develops very slowly and at different rates from individual to individual, and with the currently available imaging techniques, it is difficult to distinguish between lesion initiation and progression. A thickened or nonhomogeneous intima-media layer is the first sign of arterial lesions, preceding the development of atherosclerotic plaques. “Thus a common clinical tool for diagnosis of early atherosclerosis is the measurement of intima-media thickness using conventional ultrasound imaging,” she says of how the disease is currently diagnosed. While she explains that several studies have been published concerning the importance of lipoprotein interaction with proteoglycans in early atherogenesis, Graf says it’s been unclear whether extracellular lipid and proteoglycan accumulation precede macrophage infiltration in human atherosclerotic plaques. Yet there’s hope that photoacoustic imaging could provide a solution for differentiating vulnerable plaques before symptoms are present. “Given that photoacoustic imaging can use endogenous contrast to detect lipid accumulation and contrast agents to assess the macrophage infiltration, we may conclude that this technique could be used in the future to help doctors detect early onset of atherosclerosis and to differentiate vulnerable plaques,” she says. Cheng says VPM can detect even a very small amount of lipid deposited in the arterial wall, signifying the very beginnings of atherosclerosis. Graf says noninvasive ultrasound imaging has proven to be useful in detecting atherosclerosis but photoacoustic imaging might provide more specific information for diagnosis of atherosclerosis at earlier stages. “The current effort is in the improvement of patient-specific diagnosis of atherosclerosis. Based on the current knowledge of photoacoustic imaging, this technique has a promising potential in identifying the location and size of lipid pools and also the existence of vasa vasorum,” she says. While she says photoacoustic imaging on its own can provide information only on tissue composition without illustrating tissue morphology as ultrasound imaging can, Graf says utilizing the two together has the best potential for future clinical use. “Thus integrated ultrasound and photoacoustic imaging could be implemented in clinical practice to increase the accuracy of atherosclerosis diagnosis,” she says. 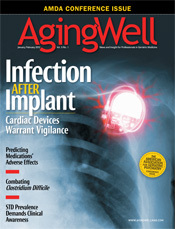 Physicians shouldn’t look for such screenings to be available just yet, as Graf says photoacoustic imaging as a whole is still in the preclinical research phase, with questions about optimal light delivery, selection of wavelength and fluence, and depth penetration limitation still needing to be answered before such a screening could be offered to patients. And for his research, Cheng says more work is required before VPM is suitable for screening in a clinical setting. “In order for this tool to be used as a screening tool for patients without symptoms, we need to further increase the penetration depth by another order of magnitude, to centimeter scale,” he says, noting that some engineering issues also need to be addressed to make it sensitive enough as an endoscope. At this stage, however, he sees promise in the technique for the diagnosis of vulnerable plaques through the development of an endoscope. Beyond atherosclerosis detection, Graf says researchers are also looking at how photoacoustic imaging could be used in cancer diagnosis and treatment, including molecular imaging. Cheng notes that VPM could also be useful in the detection of colon cancer. How far away are physicians from offering photoacoustic imaging as a valid option for patients with suspected atherosclerosis? Graf says its introduction into the clinical setting is dependent on several factors, including how fast the research progresses and the availability of FDA-approved clinical ultrasound devices that include this new imaging modality. “Considering these factors, we can expect photoacoustic imaging to start being used on patients within the next five to 10 years,” she says. To offer either type of photoacoustic imaging modality themselves, Graf says physicians would likely need additional training. “Also, the ultrasound system will have to be attached to a pulsed laser,” says Graf, noting that this could translate to higher costs, though it would still be cheaper than MRI or CT imaging systems. “The cost should be similar to [intravascular ultrasound] that is currently used clinically,” notes Cheng. Both Graf and Cheng agree that if photoacoustic imaging becomes available in the clinical setting, it’s likely only specialists will perform it, at least initially.